US lawmakers have approved new laws giving terminally ill patients the “right to try” unapproved drugs if there are no alternatives. The law was backed by vice president Mike Pence, who has been a long-time advocate of the legislation and now looks set to be signed by president Donald Trump. However the legislation is controversial as the FDA already has a pathway allowing patients fast access to alternative treatment options if they are terminally ill.
FDA Commissioner Scott Gottlieb, appointed by Trump, said he is ready to implement the legislation – even though it could be seen as undermining the regulator’s work by preventing ineffective or unsafe therapies reaching patients. 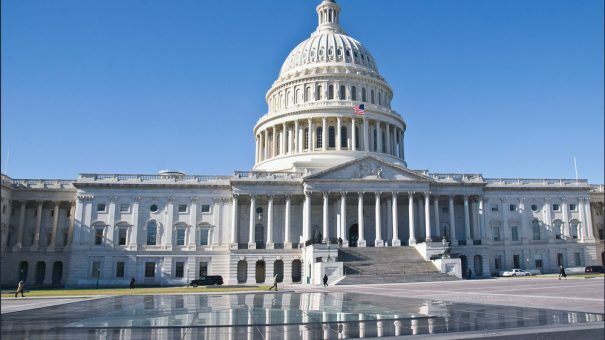 The House of Representatives voted 250-169 in favour of the bill, which the Senate passed in August, and president Trump is now expected to sign it. The House had in March written its own version of the bill, which would have required a fresh vote in the Senate. But Representatives have since opted to revert to the Senate’s original bill, and approved it. There are currently 40 US states, such as Pennsylvania and Texas, that already have “right to try” laws. The legislation aims to improve access to experimental treatments in the remaining 10 states that have not passed such laws. But more than 100 patient and health advocacy groups, including several representing cancer patients, have signed a letter opposing “right to try”, saying it will not improve access to experimental therapies. They noted the FDA approves 99% of applications for experimental therapies for terminally ill patients, and often makes important dosing and safety recommendations. According to the signatories to the letter in March, pharma companies are often responsible for denying terminally ill patients access. If Trump signs the legislation, terminally ill patients will get the right to try drugs that are in clinical trials but have not received the FDA’s seal of approval. The president backed the legislation in his State of the Union address this year, saying that it is time to give “these wonderful Americans” the “right to try”. The House passed #RightToTry today on a BIPARTISAN vote. This important policy will give hope to the those who need it most – by allowing seriously ill patients a fighting chance to access experimental treatment.